Devon Sells Wyoming Midstream To Meritage Midstream. See some details on our map. The sales includes substantially all of its natural gas gathering equipment and pipeline including 115 miles of pipeline located in the southern part of Wyoming’s Powder River Basin. The transaction includes Devon’s long-term dedication of 250,000 acres in the basin. 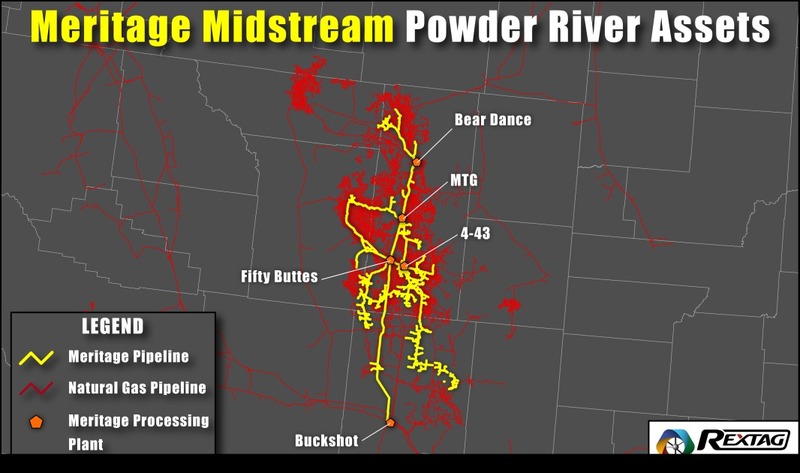 Thunder Creek’s operations now span various resource plays in the Powder River Basin, including the Turner, Teapot, Parkman, Sussex, Niobrara, Frontier and Mowry.